The impact and potential consequences of my client's legal situation is something I take seriously. Being charged with a crime is a difficult situation to handle for anyone. Depending on your circumstances, you may be aware of an investigation prior to arrest or it may come as a surprise. In either case, don’t answer any questions that are presented at the time of your arrest. Instead, ask for your attorney. 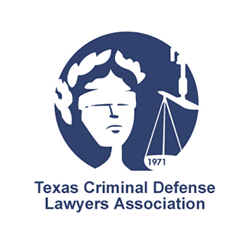 A qualified Houston criminal defense attorney who is familiar with the laws will be the best asset you have to fight against a charge. 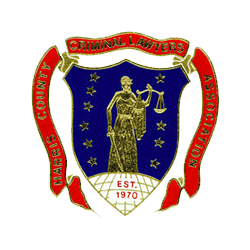 Samuel M. Gardner is a Houston-based attorney whose practice is dedicated to criminal defense. Whether you face a misdemeanor or felony, Mr. Gardner is dedicated to providing his clients with tireless legal representation to ensure their rights are protected. 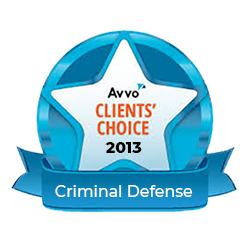 Schedule your FREE consultation with our Houston criminal defense attorney immediately! 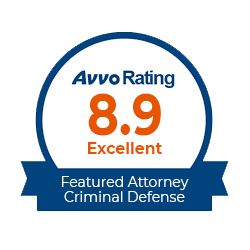 Samuel M. Gardner distinguishes himself as an attorney by fighting for his clients at all costs and working tirelessly for their cause. He ensures that all his clients feel comfortable reaching out to him or his team so that they can have an open dialogue. Understanding is the key to making sure a client can make the most informed decisions, and Mr. Gardner is personally available to clients so they understand all aspects of a case before it progresses. His history of successful dismissals includes misdemeanors and felonies of all kinds. I take the time to personally get to know all my clients. Every client case is different and should be handled accordingly. Pleading is a last resort, my primary goal is to get my clients case dismissed. Being prepared for all potential issues has led to many acquittals. The impact and potential consequences of my client's legal situation is something I take very seriously for every client. I always look to provide the best legal advice while also being realistic about the chances for a successful outcome. He is straight up with you an always willing to answer whatever questions you have. I will assure by witness Samuel is your man to help defend your innocence. Mr. Gardner was absolutely professional and kept me informed throughout my case. This was one of the best attorneys I've ever had. He's straight forward and knowledgeable of the law. Sam is always dressed sharply, very cordial, and really understands people. I will always keep Mr. Gardner on retainer, in case I have any problems. THANK YOU SAM! I hired Mr.Gardner before and was VERY PLEASED. Great Attorney!! One of the best in Houston. He was very quick and on point at all times keeping the jury in this case up to date with the facts and laws. Highly recommended!!!! Mr. Gardner was able to get my case dismissed. I can not thank Samuel enough, and would definitely recommend his services. In every case he takes on, Mr. Gardner thoroughly investigates the details to determine if there are grounds for dismissal. This is often the ideal outcome as it prevents the need for a jury trial and ensures the defendant will not have a conviction on their permanent record.